Provides additional flex in the Bottom Hole Assembly, which can be required when running through restrictions or highly deviated wellbores. The Coil Solutions Knuckle Joint is designed to provide additional flexibility in the tool string. 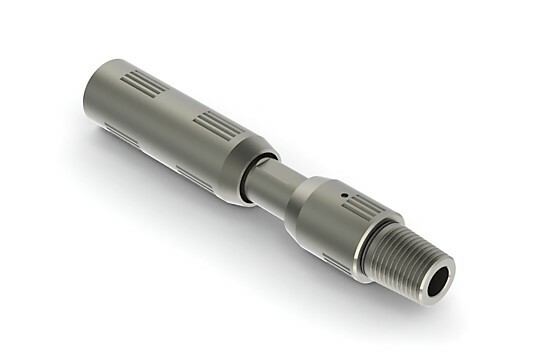 This additional flexibility is often required when the Bottom Hole Assembly is run through a restriction or high deviation within the wellbore. The Knuckle Joint can be used in certain fishing applications to help centralize or de-centralize the fishing tool. The Knuckle Joint provides a 7.5-degree deflection and internal pressure sealing throughout the full deflection of the tool. Knuckle Joints can also be run in tandem if required. This large through bore also allows for the use of ball activated tools below the knuckle joint.